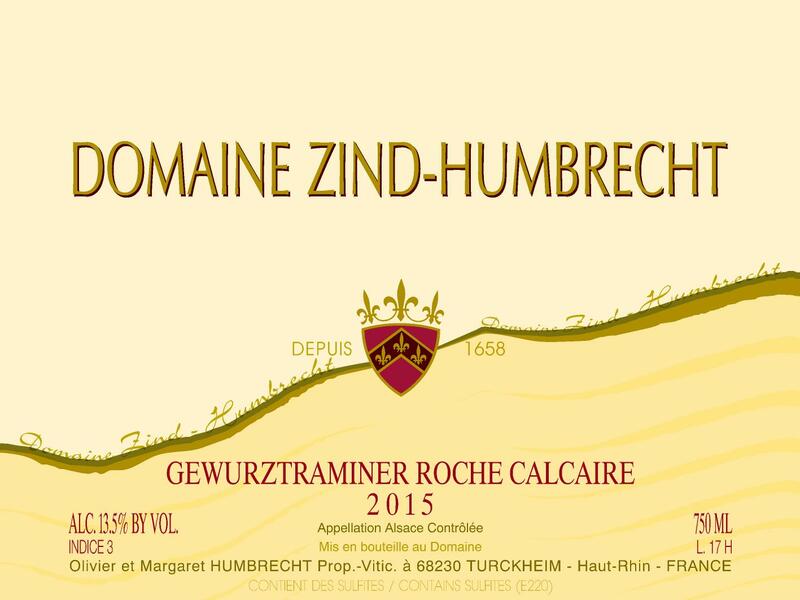 As of 2015, the Gewurztraminer Calcaire is only made from the very small vineyard located next to the Grand Cru Goldert in Gueberschwihr. It enjoys a late ripening climate and faces due East on a gentle slope. The soil is made of a mix of Oolithic limestone, clay and some sand/silicium that comes from the erosion of the mountains just above. This is classic land for this grape. The depth and nature of the soil also prevents the vines from suffering from heat and drought, so it performed very well in 2015. With a nice ripeness, it fermented quickly over a month and kept a normal amount of sweetness. 8/2017: bright pale yellow colour. The nose has a medium intensity, typical of limestone, and exhibit a blend of floral and fruity aromatics. Still quite discreet, this isn’t the ‘in your face’ type of Gewurztraminer. The palate is constructed between a harmonious light sweetness and serious acid/tannin structure. It doesn’t fell heavy at all and would certainly benefit from ageing. Tannin rich vintages, like 2015, do produce wonderful Gewurztraminers that tend to evolve slowly.